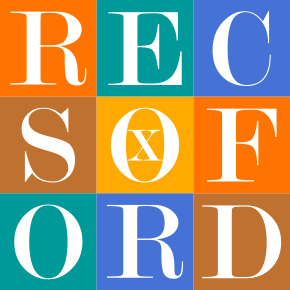 Romanticism and Eighteenth-Century Studies Oxford (RECSO) invites submissions for its “Reading Images” seminar series to take place in Michaelmas Term 2015. The series will provide an exciting opportunity for graduates, postgraduates and early career fellows to present their research with the aid of prints, drawings and objects from the Ashmolean Museum collection. With the assistance of Dr Jim Harris (Andrew W Mellon Teaching Curator at the Ashmolean), we will be asking participants to select a print, drawing and/or object from the collection, which illustrates or compliments an aspect of their research. In each of our four fortnightly workshops, participants will then present a 30-minute seminar paper to an interdisciplinary audience. This will be followed by an open discussion of their paper and the work(s) of art presented. We welcome applications from all areas of the long eighteenth century, regardless of discipline or approach. While we encourage scholars with specialist knowledge of particular works of art to apply, this is by no means required; we hope that this series will give those scholars who do not normally work with visual material an opportunity to explore the rich holdings of the university museum. Please send a brief proposal (max. 250 words) by 22nd May 2015 (Friday Week 5). If you do not have a particular work in mind or are unsure of the kinds of works held within the Ashmolean collection, please state this in your application and we will help you to find a suitable work. This entry was posted in Call for Papers, RECSO. Bookmark the permalink.